Nearly two weeks ago, while precincts across the country were beginning to conclude their election of those who would represent their districts in the coming years, I had the distinct privilege of traveling to Laurel to witness the conclusion of a political campaign that I have proudly been a part of for the past eight months. Though my candidate Chris McDaniel did not find himself lucky enough to advance to the final stage of voting in the Nov. 27 runoff election, our party now has a nominee who has proven herself against the forces of opposition in the Democratic Party as well as those to her right within the Republican Party. Though I have previously been outspoken in my criticism of Sen. Cindy Hyde-Smith, I have come to accept the reality that Sen. Hyde-Smith stands as the most qualified candidate for this position and is deserving of each and every single vote from conservative Mississippians. This is not to say I find Hyde-Smith 100 percent in line with my own political beliefs, which are often to the right of my party. It is to say that given the disastrous alternative of electing Democrat Mike Espy, I would find it prudent that all Republicans unite against this threat to the United States Senate and President Trump’s agenda. If Mississippi is to elect Espy, our state would have accepted snake oil from a man who has made its sale his profession. Espy will no more be an antidote to a corrupt Mississippi political system than a thief being made to guard a jewelry store. Espy’s disastrous record as a former Mississippi Congressman and Secretary of Agriculture under the Clinton Administration should cause alarm for even the state’s staunchest Democrats, let alone Republicans who support our president. Espy’s record has shown us he will spend his time in Washington currying favor from lobbyists, supporting higher taxes, being weak in the defense of life, supporting President Obama’s disastrous healthcare policies, disregarding our second amendment and allowing our nation’s borders to be made open for all who wish to enter our country illegally. This behavior combined with the loss of another Republican seat in the Senate would eviscerate any positive momentum our state currently enjoys under the Trump economy. 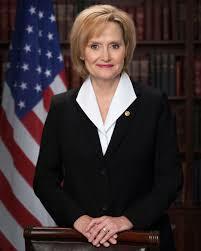 Sen. Hyde-Smith has worked tirelessly with the Trump administration, voting 100 percent of the time with the president, supporting the appointment of now Justice Brett Kavanaugh and standing in the defense of life. Though we may not always agree, there is no question that Sen. Hyde-Smith’s Republican voting record at this time is incredibly impressive. On Nov. 27, Republican voters now have a clear choice in who to support. Anyone who refuses to support our party’s nominee due to his or her preferred candidate not advancing to a runoff, your behavior does not only enable Democrats, it is reminiscent of the attempted subversion of our democracy carried out by Democrats following the election of our president and has no place in Mississippi politics. My advice to you is to get out and vote. Show the out-of-state liberals who support Espy that their blue wave stops at the Mississippi state line.